Being accused of a crime can have a devastating impact on your reputation, career, and relationships. 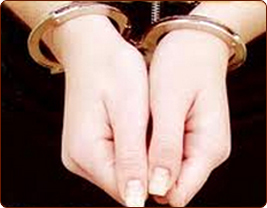 An experienced criminal defense trial attorney can make all the difference in the outcome of your case. For over 20 years, Valerie Prevatte has been handling criminal cases locally in Northwest Florida at the Escambia, Santa Rosa, Okaloosa, and Walton county courthouses. She started her legal career as a prosecutor for the State Attorney's Office in Escambia County, Pensacola but now specializes in criminal defense. She will personally handle your case; you won't be handed off to a junior associate. So many things may depend on the outcome of your case: your freedom, your opportunities for promotions, your security clearance status. If you serve in the military or have a teaching certificate, nursing license, or similar professional certification, an arrest alone can result in further investigation and potential discipline by your licensing board. You need a criminal defense lawyer looking at the big picture, fighting for the protection of your legal rights. Even if you do not want to take your case to a jury trial, Valerie Prevatte can help you by negotiating a fair resolution of your case. If you have no prior criminal history, you may be able to enter into a diversionary program or an agreement for adjudication to be withheld. If you want to contest the State's charges against you, Valerie Prevatte will personally represent you throughout your case, from the arraignment to the jury selection to the rendering of the verdict. Valerie Prevatte handles a wide variety of criminal matters, including "quasi-criminal" situations that often arise in the context of a divorce such as petitions for domestic violence injunctions or restraining orders. She handles juvenile delinquency cases, misdemeanor and felony offenses, and criminal history record expungements.